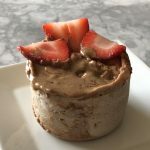 Top it off with 1 tablespoon of peanut butter or almond butter, a dash of cinnamon and your favorite berries! 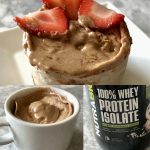 Top it off with your favorite protein ice cream!! 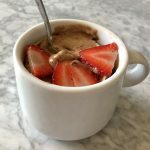 You can garnish your protein mug cake however you’d like!